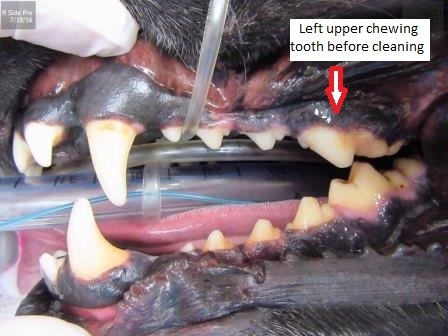 Could There Be a Broken Tooth Hiding in Your Dog’s Mouth? 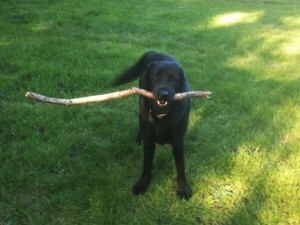 Home » Could There Be a Broken Tooth Hiding in Your Dog’s Mouth? 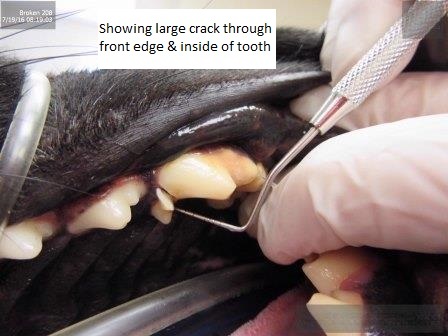 Broken teeth are painful and can be hiding in your dog’s mouth! 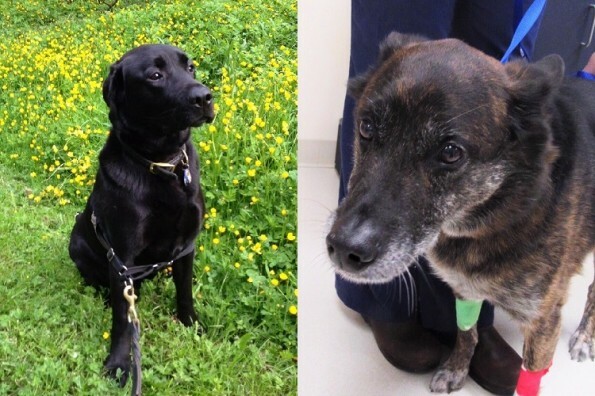 This month we are profiling two different dogs who had the misfortune of breaking a tooth and needing to have the tooth extracted. We don’t know exactly how either Archie, an 8 year old Labrador Retriever, or Tut, a 10 year old German Shepherd Mix broke their teeth but in both cases the injured teeth were not found until the time of their dental cleaning. 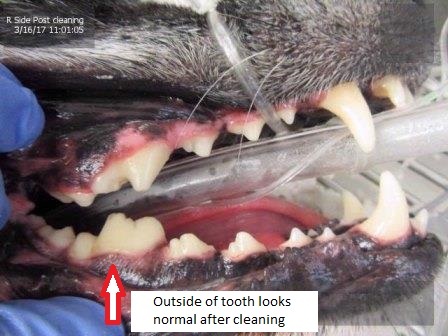 This is a surprisingly common occurrence and an important reason that regular anesthetic dental cleaning should be part of your pet’s health care plan. Archie’s owner noticed that Archie wasn’t chewing on his rawhide treat with his usual enthusiasm, so he scheduled an appointment with Hawthorne Hills Veterinary Hospital to see if we could find the cause. 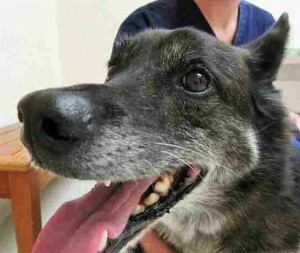 On exam Archie was happy and really didn’t show any signs of mouth pain and readily took offered treats in the room. To facilitate a more thorough evaluation we scheduled Archie for anesthesia and planned to clean his teeth at the same time. Initially under anesthesia we couldn’t see an obvious issue in the mouth. However, with careful probing of each of his teeth we discovered that there was a major crack in the largest chewing tooth on the upper left side. This crack was on the front edge and extended to the inside of the tooth and was difficult to see even on the radiograph until we inserted a probe into the crack. Then the split became quite obvious. Clearly, every time Archie was chewing on something, the tooth was splitting apart and causing significant pain. Extraction was the only solution. Tut had developed a moderate amount of tartar and was getting his teeth cleaned as a routine procedure. Other than some normal wear due to age we were not expecting to find any specific issues. He was eating normally and showing no signs of discomfort at home. You can see from the photo of the outside aspect that his teeth look really healthy for being 10 years old, thanks to regular dental care over the years. 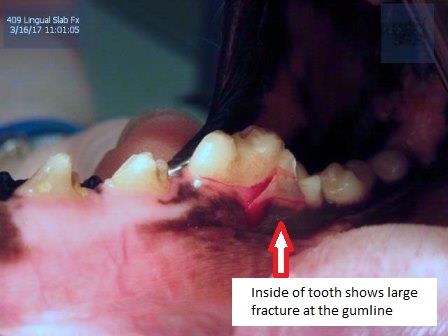 However, a look at the inside of the largest tooth on the bottom right revealed a slab fracture that extended below the gumline. This piece of tooth was mobile and certainly should have been painful. When the fracture extends below the crown and involves the root, extraction is necessary. Both Archie and Tut were lucky. Their owners were proactive in providing dental care under anesthesia which allowed the doctors to find hidden problems and treat them correctly. It is important to know that sometimes pets just learn to live with pain when they can’t tell us how they feel. We can help our pets avoid needless pain by providing appropriate dental preventive care and taking some general precautions to keep their teeth and mouths healthy. Only use chew toys that are soft enough to be indented with your fingernail. There are many now that are specifically designed to encourage your dog to chew especially if used with tasty treats or pet toothpaste. Regular chewing does help to keep the teeth and gums healthy. Avoid items like antlers, cow hooves, dried real bones, or hard nylon products which are too hard for the teeth. Avoid playing ‘catch’ with certain types of balls that are too hard (baseballs as an example). 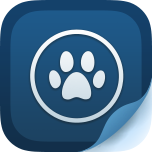 Prevent your dog from chewing on rocks or other hard objects around the house and yard – chain link fencing and dog crates are two examples.